Boulder 'riffle' we added to the stream. 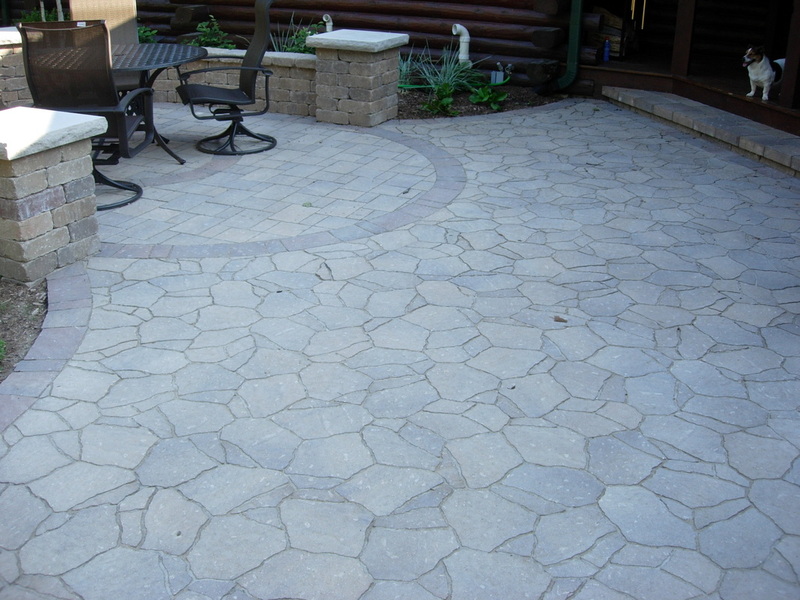 Using two different paver types and colors is an excellent way to make your patio design unique and add an extra touch of elegance. 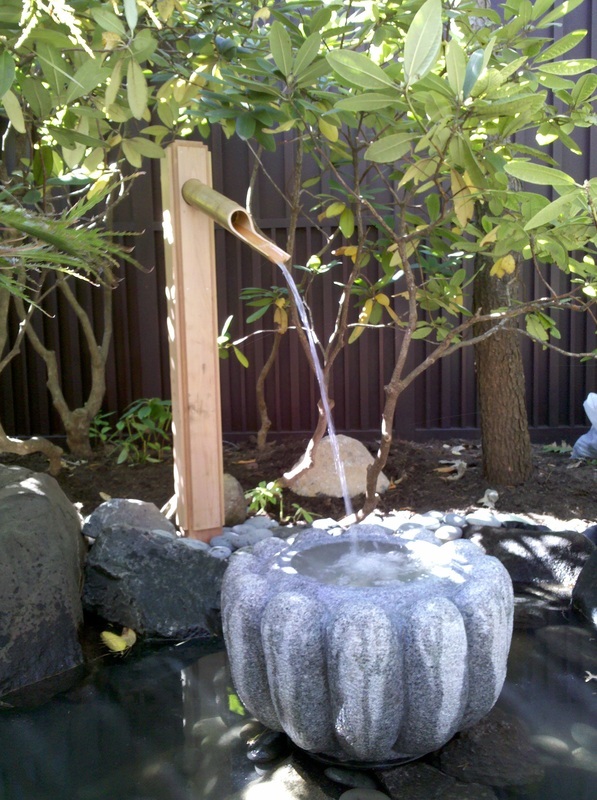 This custom made Japanese fountain added a special interest to this corner of the garden. The fountain was made from bamboo and western red cedar. 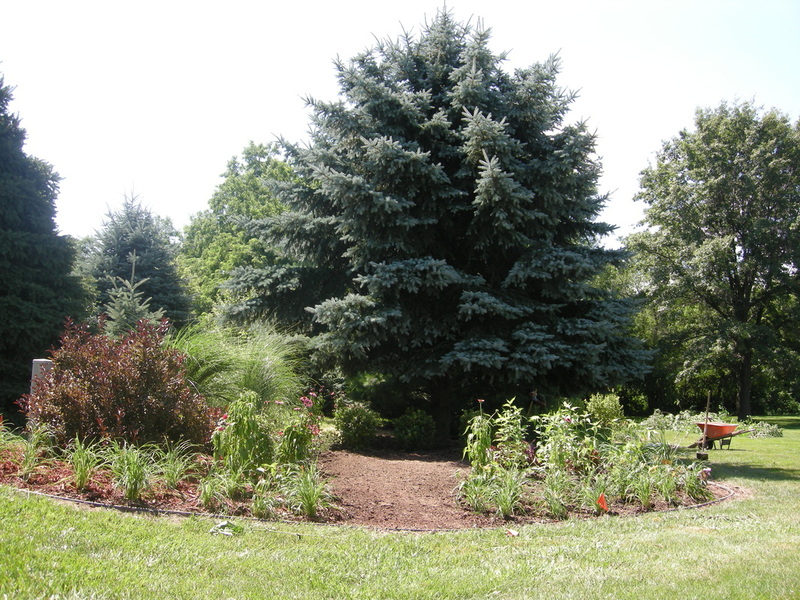 Adding planting beds around your existing landscape is a great way to refresh and change the look of your yard.